72 Acres in two tracts with 36x48 shop w/ apartment/man cave. Older barn also on property. Large septic soil sites on each tract. Located on a dead end road with open fields and wooded areas. Nice creek on front of property. Over 300 ft road frontage on Baines Hollow county road. 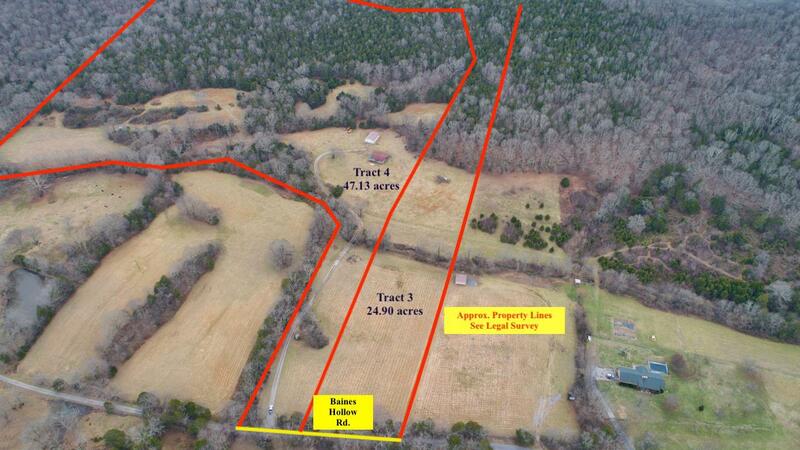 Property can be purchased as a 47 acre or 24.9 acre tract.